Cook and drain pasta as directed on box. Meanwhile, cook peas as directed on bag. Reserve 3/4 cup of the cooked peas. 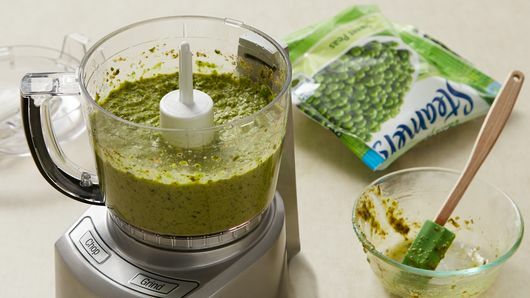 Place remaining peas in food processor along with pesto and olive oil. Cover; process 2 to 3 minutes, scraping down sides as necessary, until mixture is smooth. 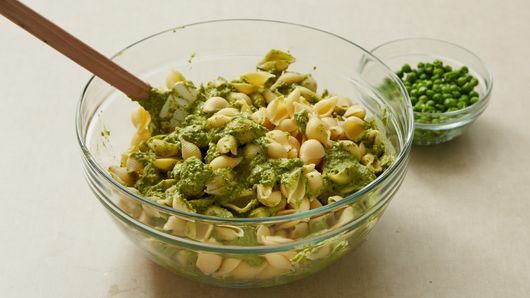 Add mixture to pasta; toss to coat evenly. 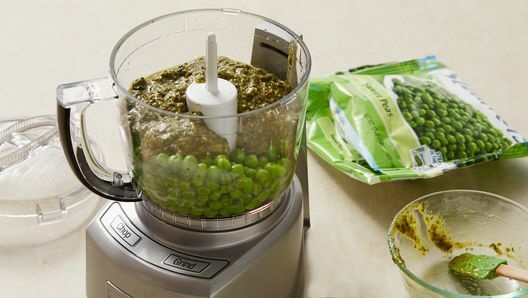 Stir in reserved peas. Season to taste with salt and pepper. Serve warm or chilled. 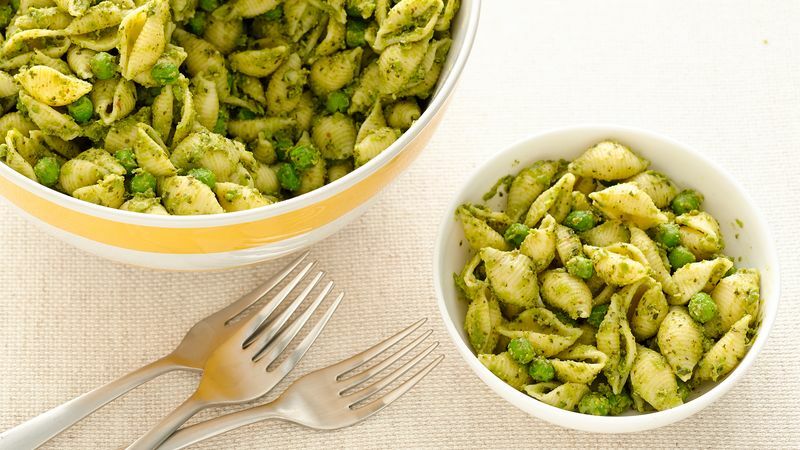 Add chopped cooked chicken breast to this dish to boost the protein.